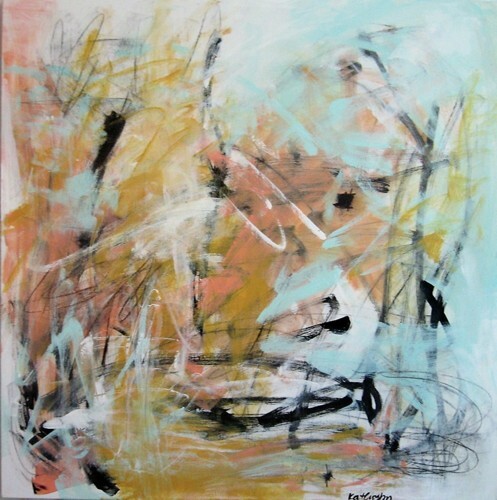 Contemporary abstract expressionism with fluid mark making done with acrylic paints, pencils, markers, crayons and pastels on canvas or paper. 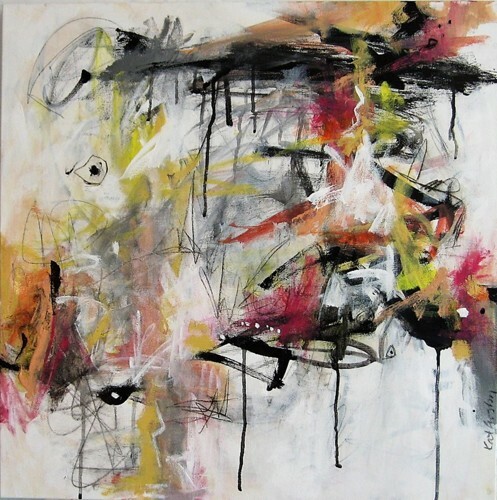 Abstract expressionism done with acrylic and mixed media on a gallery profile canvas. 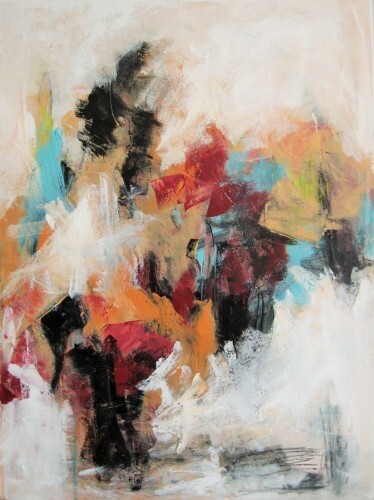 Bold large abstract with lots of movement and energy. Done with acrylic and mixed media on a gallery profile canvas. Painting continues onto the sides of the canvas. It is signed on the front and back along with the title and date created. 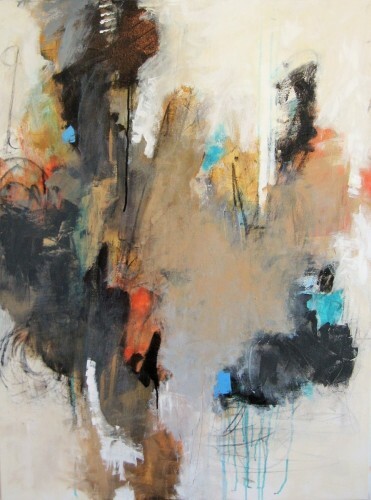 Muted layered abstract expressionism done with mixed media and acrylic on a gallery stretched canvas. It is signed on the front and back along with the title and date created. 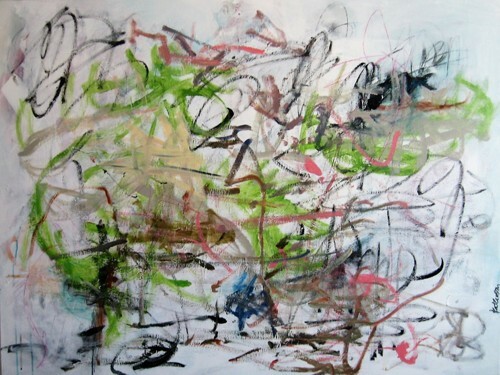 Bold abstract expressionism with expressive mark making and line work. It was done with acrylic and mixed media on a gallery profile canvas and is sealed with a semi-gloss finish to protect the work. It is signed on the front and back along with the title and date created. It will come ready to hang. 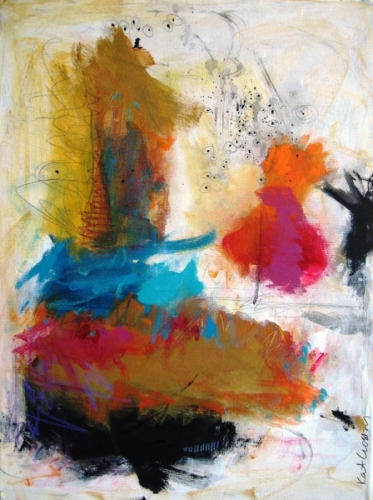 Bold and colorful abstract expressionism with expressive mark making and line work. 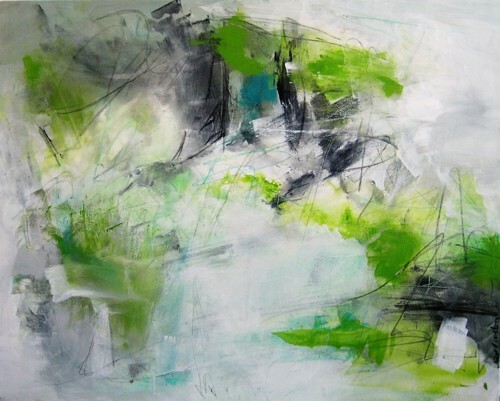 It was done with acrylic and mixed media on a gallery profile canvas and is sealed with a semi-gloss finish to protect the work. It is signed on the front and back along with the title and date created. It will come ready to hang. 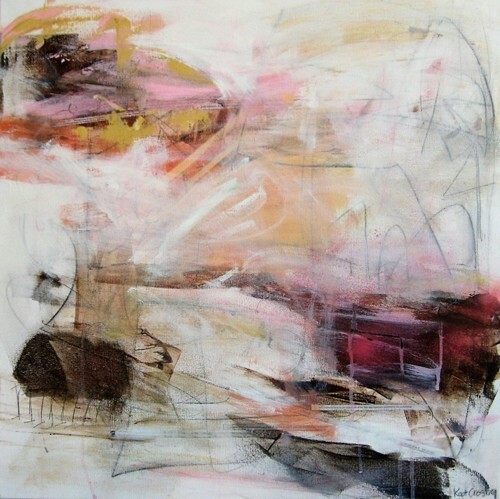 Muted abstract expressionism done with layers upon layers of mark making with pencil, crayon and graphite and acrylic on a gallery stretched canvas. It is signed on the front and back along with the title and date created. 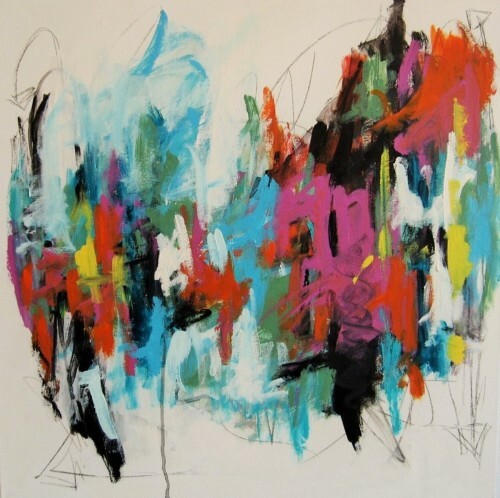 Bold and color filled abstract expressionism done with layers upon layers of mark making with pencil, crayon and graphite and acrylic on a gallery stretched canvas. It is signed on the front and back along with the title and date created. 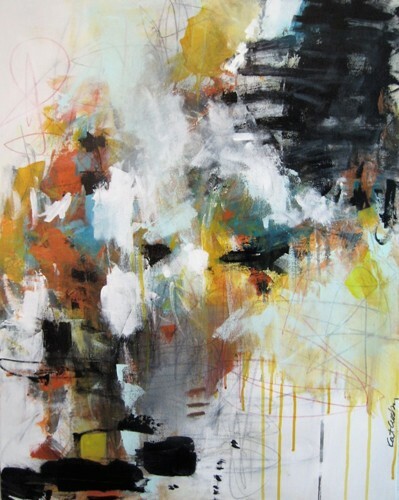 One of two bold and color filled abstract expressionism done with layers upon layers of mark making with pencil, crayon and graphite and acrylic on a gallery stretched canvas. It is signed on the front and back along with the title and date created. 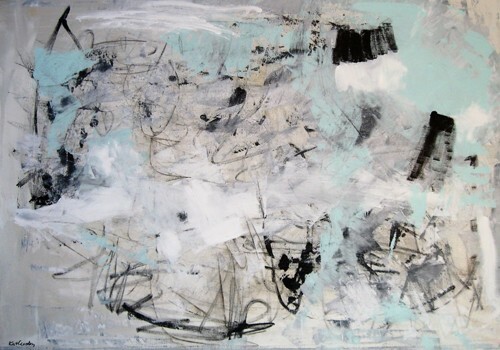 Muted abstract expressionism with expressive mark making and line work. 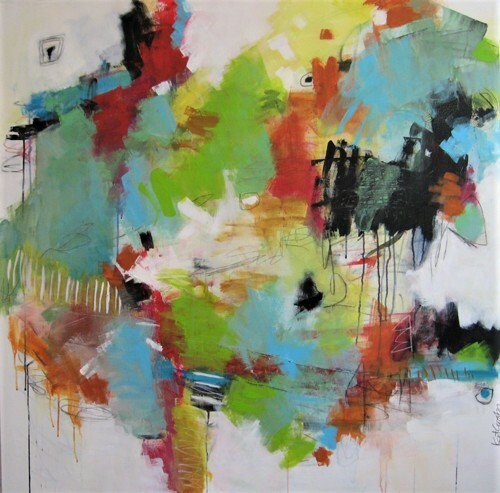 It was done with acrylic and mixed media on a gallery profile canvas and is sealed with a semi-gloss finish to protect the work. It is signed on the front and back along with the title and date created. It will come ready to hang. 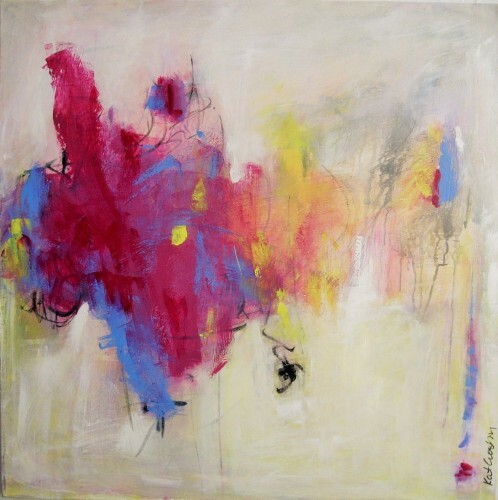 Bold and colorful abstract done with expressive strokes and mark making with acrylic on gallery wrapped canvas. Painting continues onto the sides of the canvas. It is signed on the front and back along with the title and date created. 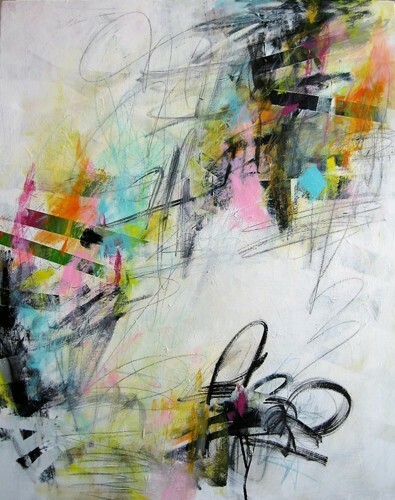 Light and airy abstract done with acrylic and mixed media. It is signed on the front and back and will come ready to hang. 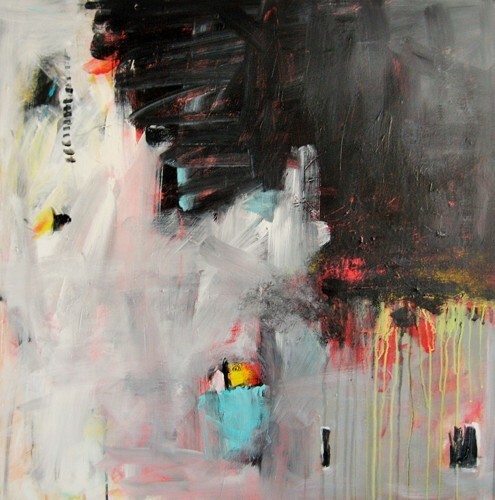 Bold and expressive abstract done with acrylic on a gallery wrapped canvas. It is signed on the front and back along with the title and date created. 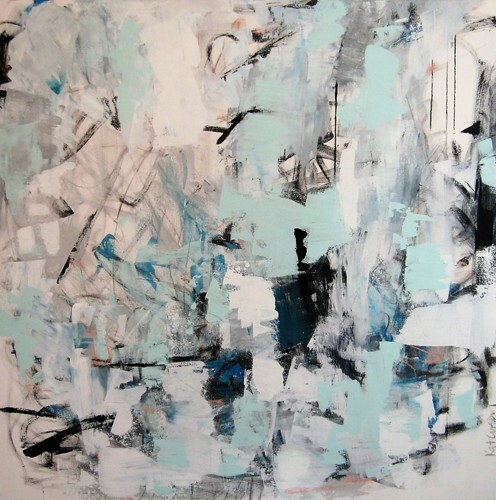 Large softly pastel colored abstract done with acrylic on a gallery profile canvas. It is signed on the front and back along with the title and date created. 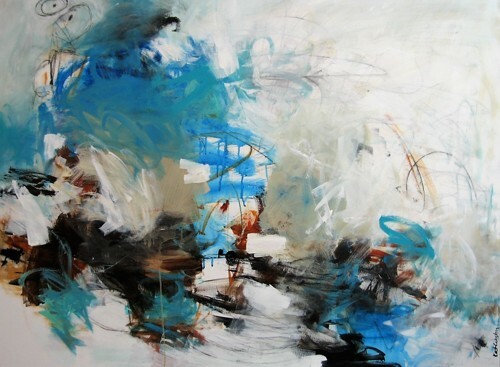 Cool ocean colored abstract done with acrylic on a gallery profile canvas. It is signed on the front and back along with the title and date created. 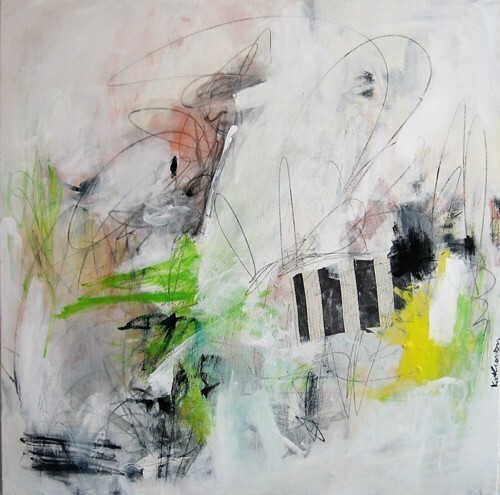 Light and airy yet raw and bold abstract. 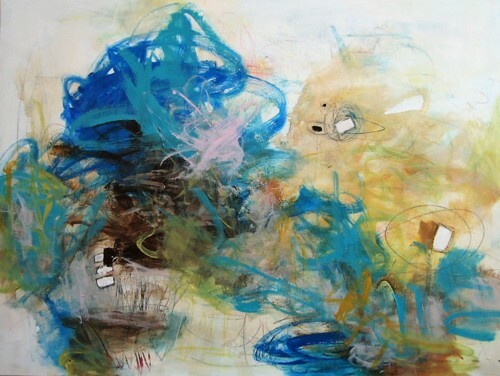 A large piece done with acrylic and mixed media on a gallery profile canvas. It is signed on the front and back and will come ready to hang. 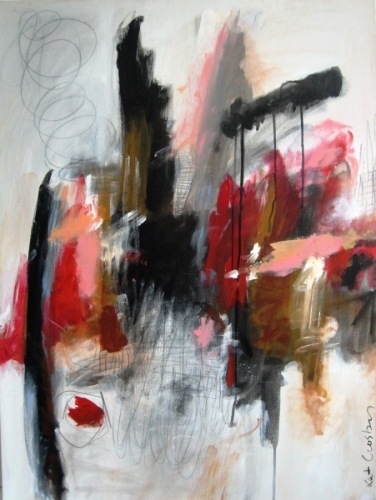 Bold and expressive avant garde abstract done with acrylic and mixed media on a gallery profile canvas. It is signed on the front and back along with the title and date created. Went out on a limb with this one and played and did what I wanted, thus the name. 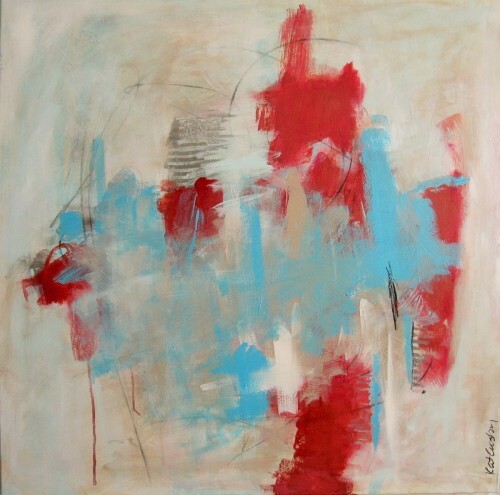 It is a large funky abstract done with acrylic, mixed media and fabric on a gallery profile canvas. It is signed on the front and back and will come ready to hang. 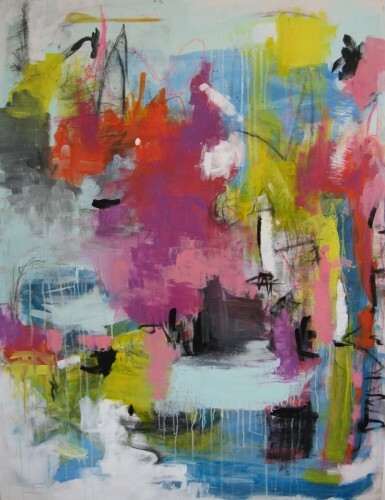 Bold colorful abstract done with expressive strokes and mark making with acrylic and mixed media on canvas. It is signed on the front and back along with the title and date created. 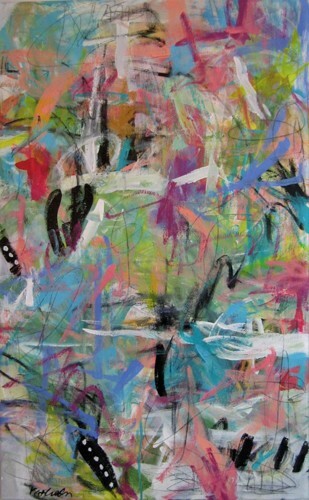 Large colorful playful abstract expressionism done with acrylic and pencil on a gallery profile canvas. Painting continues onto the sides of the canvas and will come ready to hang. It is signed on the side of the canvas and on the back along with the title and date created. 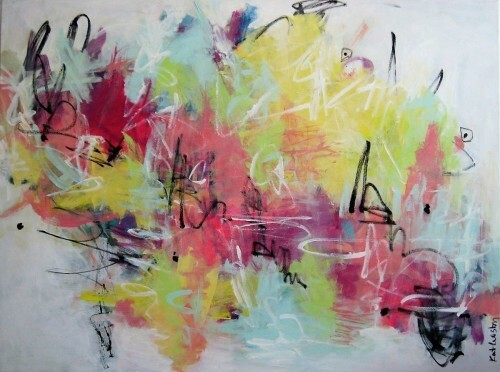 Large colorful abstract done with acrylic and pencil on a gallery profile canvas. Painting is signed on the back along with the title and date created. This piece was inspired by a trip out west. 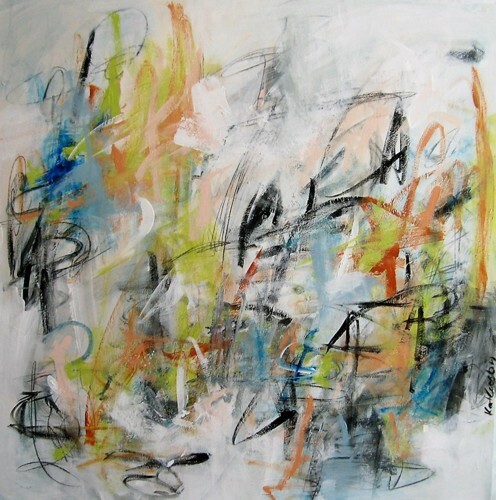 It is abstract expressionism done on a gallery profile canvas. 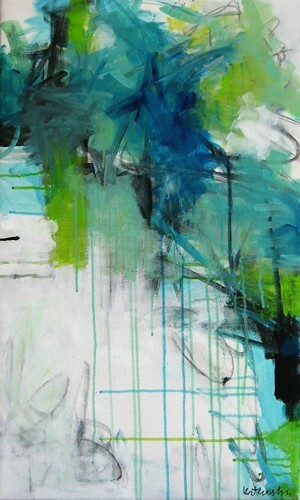 Painting continues onto the sides of the canvas and doesn't necessarily need to be framed. 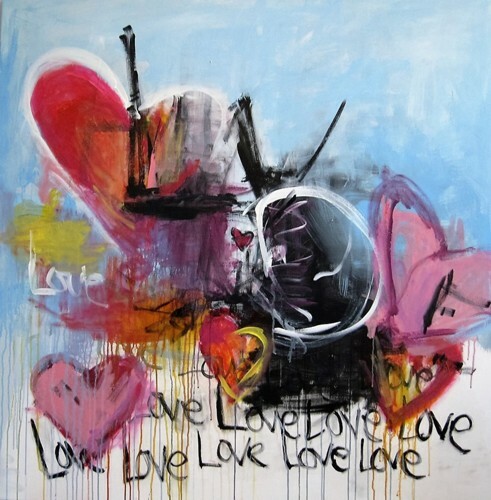 It was painted with acrylic paint with added mixed media elements. It is signed on the back along with the title and date created. It will come ready to hang. 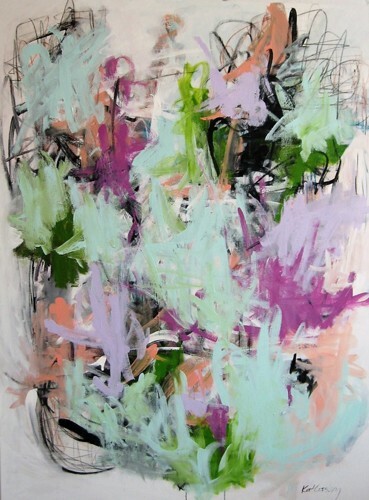 Large abstract expressionism done on a gallery profile canvas. Painting continues onto the sides of the canvas. It is signed on the back along with the title and date created. It will come ready to hang. 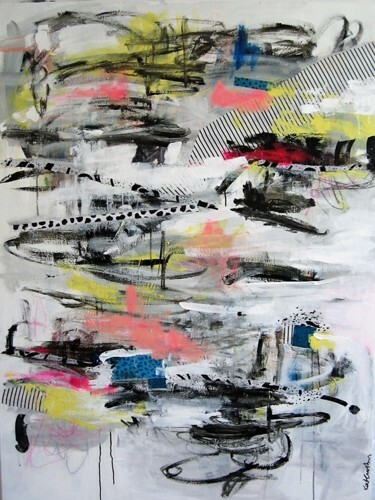 Bold multi layered abstract done on a gallery profile canvas. Painting continues onto the sides of the canvas. It is signed on the back along with the title and date created. It will come ready to hang. 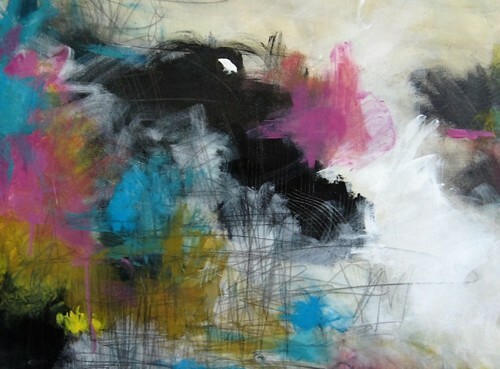 Large colorful yet dark playful abstract expressionism done with acrylic and pencil on a gallery profile canvas. Painting continues onto the sides of the canvas and will come ready to hang. It is signed on the side of the canvas and on the back along with the title and date created. 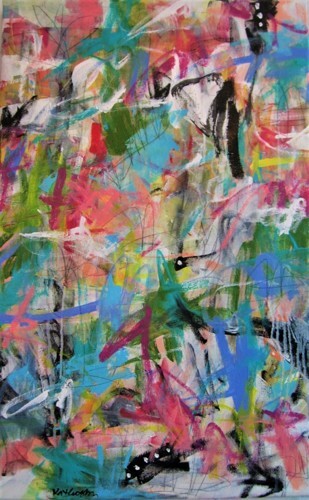 Abstract expressionism done on a 1.5" gallery profile canvas with acrylic paint and pencil. It is signed on the back along with the title and the date created. It will come ready to hang. 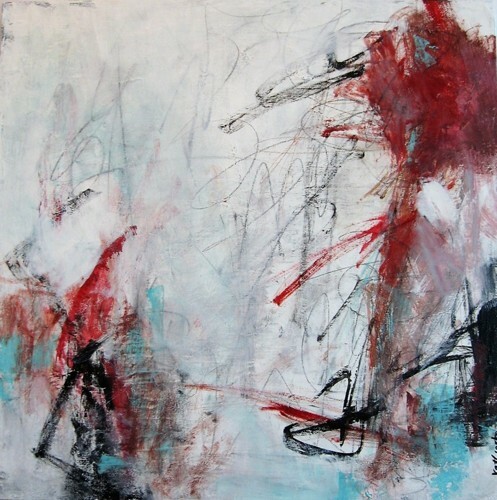 Large abstract expressionism done with acrylic and charcoal on a gallery profile canvas. Painting will come ready to hang. 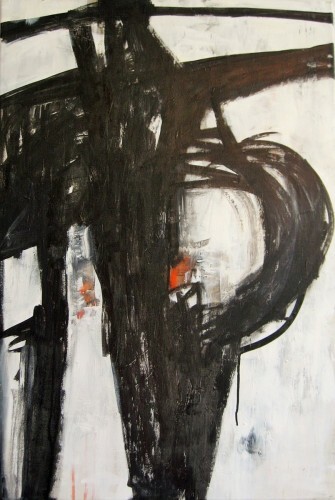 Large abstract expressionism done with acrylic paint and charcoal pencil on a gallery profile canvas. Painting will come ready to hang.